It's the beginning of the year, so it's time to share my goals. I don't believe in the "New Year, New Me". You can make small changes at any time, you don't have to wait for the beginning of the year. However I like to set new goals and it's the best time to share them with you all. Hope this post inspires you and let me know what your goals are! Similar to the vast population, I care about my health, especially at the beginning of the year. Since discovering about my intolerances, I've been making an effort to adjust my diet, but fail whenever chocolate is in the house. This year I plan on taking better care and avoiding the products I'm intolerant to. Another health related aspiration is my skincare, I plan on creating a better more effective routine in order to achieve flawless skin, well as clear as my skin can get. If possible, getting more facials is also a high priority. Mental and spiritual health is also crucial. Though I'm generally a positive person, I let people get to me. This year is the year of positive vibes, others shouldn't influence my happiness. Living in a different country than my family and loved ones can be hard, which is why I want to visit them as often as possible, but also for them to visit me. To feel closer to them it's important to hear them, so skyping and phoning are better than texting. I also want to invest in myself, by that I mean traveling more and expanding my knowledge. A challenging goal is to shop less. Instead of buying fast fashion, I want to invest in the pieces I've been obsessed with for years. My last goal is to be more creative with my blog and YouTube channel. Lately blogging has become about buying into trends instead of styling. I started because I wanted to show all of the ways in which you could use your clothes to create beautiful and stylish outfits, all while mixing luxury with affordable pieces. Watch the video if you want to hear me talk more about my goals and don't forget to subscribe. I think your goals are great, and buying less is one of my goals too! The one about family is really important, you will feel much better meeting your family more and they will feel happy as well! 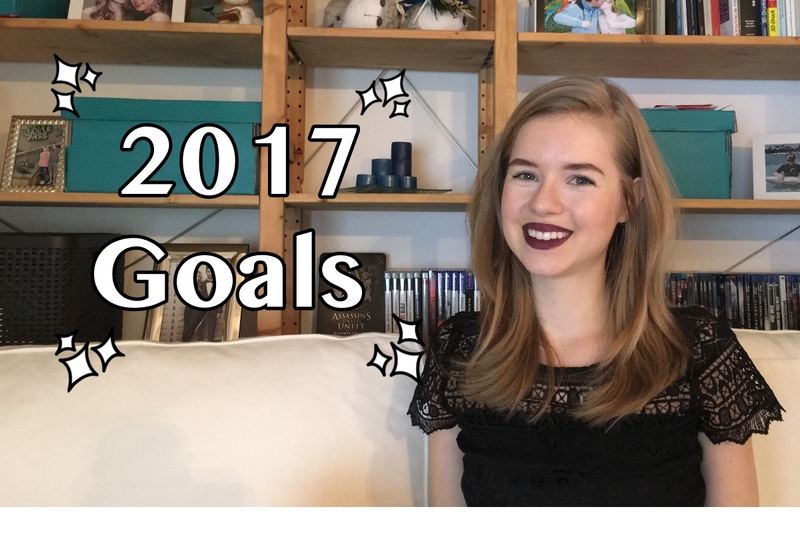 I think you have very good goals for 2017! I wish you a happy new year and all the best for 2017! Hope 2017 will be good to you.. Mental health, check! Shop less, check, check! I'm with ya!! Like how one of your goal is to shop less. We all need to start shopping less. Such a great post and goals dear, thanks for sharing! Best wishes for 2017! We share a few similar goals, like investing in fashion more. Mental health too, so important! I hope you're able to achieve all your goals this year, and I hope 2017 treats you well! I think you have amazing goals for 2017 and I will keep my fingers crossed that everything works out the way you want! I love your goals! It's so important to set goals that will benefit you! I am all about positivity in 2017! It can't be easy for you not living near your family, well done for being so brave! It’s so interesting to read other people’s goals. I think investing in yourself is so important, especially when we’re trying to please other people all the time. I wish you many great things for 2017! I, too, have decided to set goals rather than resolutions and I agree, anytime is a great time to start. All of your goals sound great and I'm sure you will achieve them all. Thanks for sharing, beauty, and I hope you have a wonderful weekend ahead! These are excellent goals Carina! Skincare is going to be my focus in 2017. I definitely want to travel more. You learn so much. Amazing goals and I love your video,you look so cute!! Very good purpose! Be sure to write a blog post about there, and how you are going to achieve their goals! I would be interested in reading, because I am also planning to conduct YouTube channel and devote more time to yourself. You are so right we shouldn't be waiting for the new year to make the changes we need and wish. Great 2017 goals! Investing in pieces is what I strongly agree with! Mine is to create a better content for my blog. And I promise my self to live healthy this year! I hope you can visit your family as many as you can and stay healthy too! Your goals are lovely, plus you look beaut in this video! Hope you'll achieve all your goals for 2017, especially seeing the loved ones more often! I am in the same situation like yourself, but much further... I realize that spending every moment with my family when I go back home is the most precious thing!